You can use liquids other than water to make the lye solution for your soap. 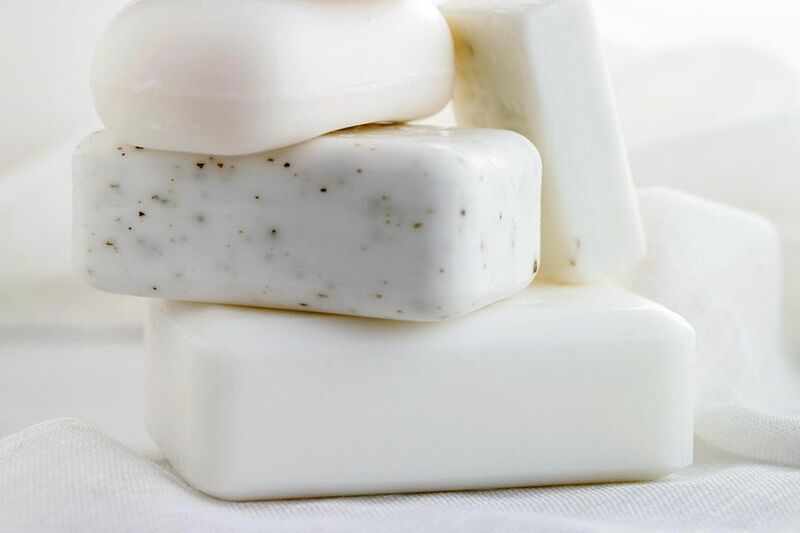 (Perhaps the most popular alternative liquid is goat’s milk which makes a lovely, creamy, moisturizing soap.) Soapmakers also use coconut milk and even buttermilk. We’ve used milk as well as coffee, green tea, wine, and even beer. BUT you need to be extra careful. Different liquids can react to the lye differently than plain water. Also note, the lye will often morph the liquid into a foul-smelling, brown soup. The good news is the smell doesn’t remain in the final soap, but it’s pretty nasty when you first mix it. There’s a lot of debate as to whether the healing or moisturizing qualities of the liquid actually survive the reaction with the lye. We think some do and some don’t. But even if they don't, using a liquid other than water adds interest, fun, and a personal touch to your soap. For making a lye solution with tea, coffee, wine or beer (basically any clear liquid) follow the steps below. Making a lye solution with milk (whatever the source) is a little more tricky. Here are the steps for making a lye solution with milk. Follow the general directions for Making Lye including all of the safety guidelines. Place your lye pitcher inside of a roasting pan or in the sink to mix it. That way, if it does bubble over, the lye solution won’t go onto the counter or floor. Work in an area that has very good ventilation. The fumes from the mixture will be heavy and foul smelling. If you’re working with a carbonated beverage, like beer, make sure that it is completely flat. Leave it out on the counter for several days, stirring often. Remember, absolutely, completely flat. If you're using a liquid that contains alcohol and/or a high sugar content, you may want to do a small-batch test first. Sometimes the alcohol and/or sugar content can do odd things in the soap batch. At the very least, it's going to make the gel stage VERY hot! Don't insulate these batches - they'll cook quite well on their own. Work very slowly, especially if this is the first time you’ve used this particular liquid in your soap. Add the lye slowly. Stir slowly. Take notes! Especially note how strong the coffee or tea was. Past that, the procedure works pretty much the same as mixing lye with plain water. Enjoy the experimentation!